Here's another quick and easy last minute decoration idea to put up for your Fourth of July celebration. 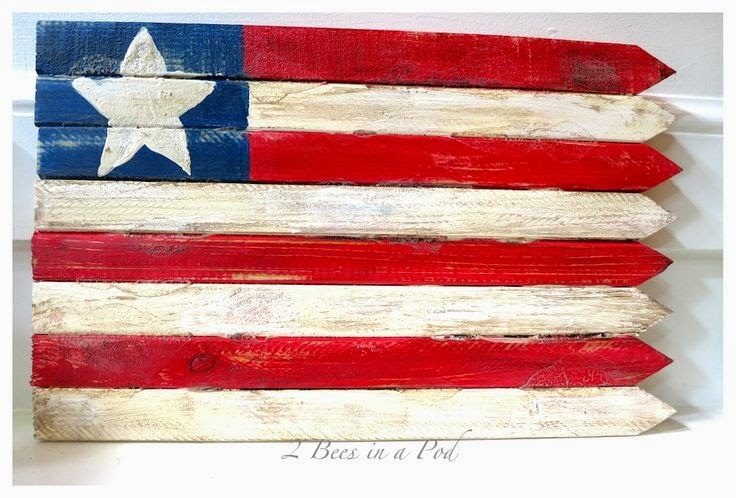 The great people at 2beesinapod have put together an easy to follow tutorial, packed with photos and instructions to make your own USA wooden flag pictured below. Click through and read on to get started on this project. Also be sure to check out our tutorial to put together a beautiful DIY Fourth of July wreath.